In police or military service the main working dogs' functions are tracking and rescue missions. For this purpose it is necessary to use safe and comfortable harness. 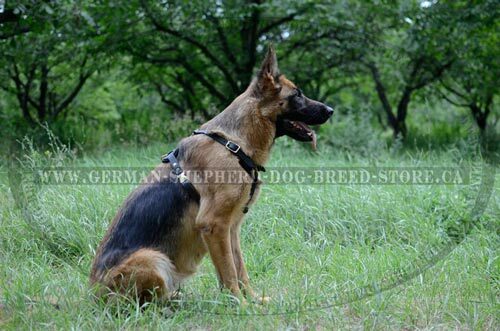 Our online shop presents Special Tracking Dog Harness that is designed for possible pulling while different operations. This supply is made of strong natural leather, that's why it stays reliable even in extreme conditions. User-friendly design of this harness let you keep your German Shepherd under absolute control. 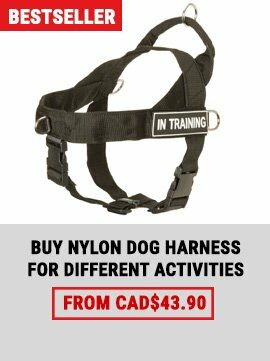 Its straps don't restrict a dog's movement during an active work. 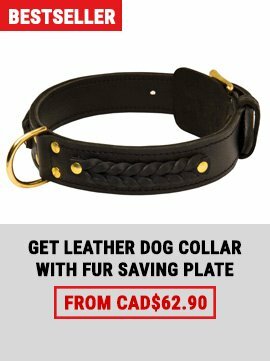 Special form of the front part doesn't compress the chest and doesn't pressure on a dog's neck while pulling, it allows your pet breathing freely without any discomfort. During long period of active work your German Shepherd dog can be tired from heavy equipment. 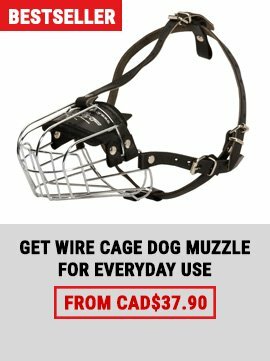 To avoid such thing this harness model has rather light weight and convenient shape that characterize it as a perfect supply for controlling a dog. 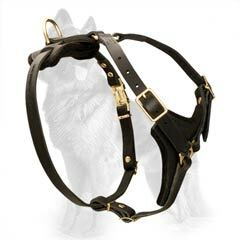 To extend a service life of this Light Weight Leather Dog Harness our craftsmen use the best type of genuine leather and stitch its chest part and straps. 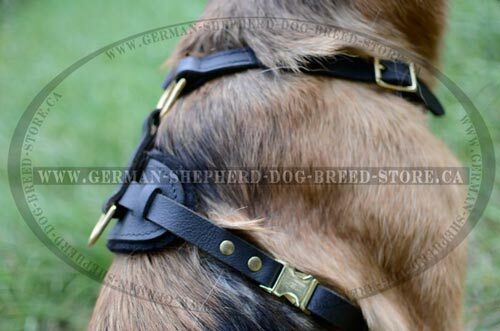 Also this product is equipped with durable brass fittings and easy quick release buckle. It can be adjusted in 4 ways. 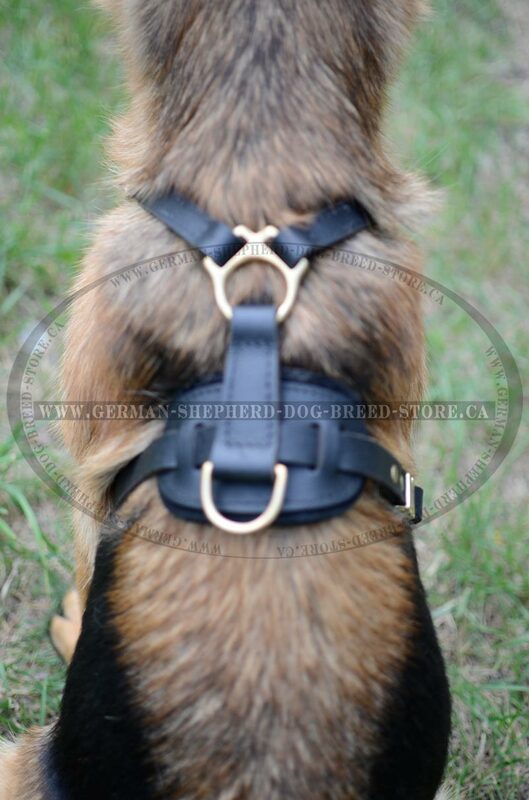 But to put this harness on your dog quickly, you can use only a quick release buckle. Note that if your pet is still growing, in future this supply can be regulated according to his size. This supply has soft felt padding in chest and back areas. It protects a dog from painful rubbing and skin irritation. Straps are wide enough not to cut into your pet's body. 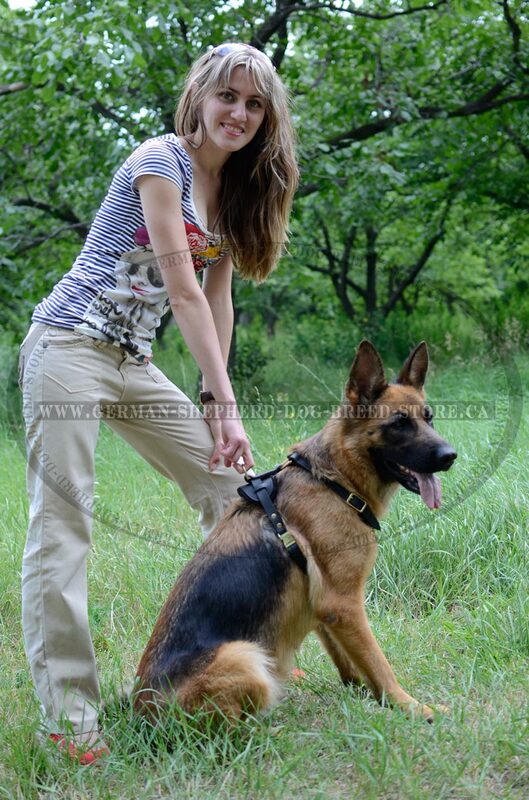 So your German Shepherd feels comfortable wearing such pleasant model. In our Comfy Tracking Dog Harness your German Shepherd will look impressive. Besides, it has high quality and acceptable price. Dear customer, it is very important to choose the proper size of this supply. Follow our recommendations and you will surely make a right decision.